Is Australia a neoliberal success story? I have just started a six week tour of Australia. Right now I am in Perth pictured), our first stop. Australia is a country I know quite well. I have visited it in every decade since the 1980s. In the late 1990s and early 2000s my visits were frequent as I was working for an Australian-owned company. But my last visit was in 2006. I am interested to see some new places (Perth is one; Tasmania will be another), and also to understand how the country has developed. I have just finished reading a special report by the Economist on the country. It paints it as a neoliberal beacon; it doesn’t use that word of course – neoliberals never use it themselves. That is an interesting thought to challenge while I’m out here. The country is a remarkable economic success story, with continuous growth since 1991: a better record than any other developed country. It has weathered two financial crises (the 1997 Asia crisis, and the 2008-09 crash), and several twists of the commodity cycle, impressive for a country for whom mining is so important. Doubtless raw materials and hitching the country’s fortunes to China’s economic growth, play an important role – but other Southern Hemisphere countries do that without Australia’s success. Its economic policies have a clear neoliberal bent. Fiscal policies have been conservative; pensions and healthcare have been substantially privatised. The currency floats freely. Levels of immigration are high. It stands as a reproach to the conventional wisdom of the left, which hates the involvement of markets in public services as well as governments aiming for low levels of public debt. It also stands as a reproach to the conventional wisdom of the right, which holds that multiculturalism is doomed to failure, and that high levels of immigration undermine social cohesion. These headlines cover a much more complex picture, of course. In fact the Economist’s report is maddeningly shallow. But Australia is an interesting case study. To me the it looks as if the critical element to its success, which helps explain the way it has beaten the conventional wisdom of left and right, is healthy incomes across a broad stretch of society. This allows people to take more responsibility for health and pension expenses. It also makes them less stressed about the economic impact of immigration. But why? That is one of the questions I want to gain insights into by talking to people who live here. Maybe Australia shows that it is too early to write off neoliberalism. Interestingly it is making a comeback in South America, as Brazilians follow Argentinians (and others) in turning their backs on leftist economics. Indeed outside some developing economies (including China perhaps), there seems to be no example of a successful economy that has abandoned neoliberal tenets. Even Scandinavian economies have tilted in the neoliberal direction in the last decades. And yet things are clearly not right in most neoliberal economies, including Britain’s. A lot of this has to do with pressure on those with middle and lower incomes, and in the phenomenon of left-behind places: middling and smaller towns, and rural areas. It will be interesting to understand how Australia has met these challenges, if, indeed, it has. From the economist report, it looks to me as though the Australians under Hawke and Keating did a more strategic job of reducing sources of demand for public expenditure than Thatcher did in Britain during neo-liberalism’s hay-day in the 1980s; very handy in a world where globalisation has reduced Governments’ ability to tax! I suppose that in Britain the Treasury technique of controlling money sum totals is somewhat hand-to-mouth and short-term. I am interested to note that Australia’s notoriously tough regime against illegal attempts to enter the country has paid off in terms of enabling a large volume of legal immigration without a feeling by the local population that things are getting out of control. The Australian economy is still governed by the same economic rules as any other. So essentially the question being asked is if it is possible to receive a nod of approval from the neoliberals and ordoliberals and still run a successful economy. The answer is yes. It is possible to do this indefinitely if you hold your currency down and run a large export surplus. Examples of countries who do this would be Denmark, which simply pegs its krone at an artificially low rate of 7.7 kr = 1 euro. Germany uses the euro but if it did the same as Denmark we’d have a rate of 1.95 DM = 1 euro. But of course not every country can run an export surplus to keep the neolibs happy. Australia lets its currency float and usually runs a trading deficit in the current account. The capital still account has to be in surplus. Part of this is the Australian government financing its deficit via the sale of bonds but a large part is the private sector receiving inwards investment. Much of it goes into the mining sector. Especially when the Chinese were busy buying up all the coal and iron ore that Australia could produce in the aftermath of the GFC. That did keep Australia out of recession when many other countries were struggling. The neolibs don’t care about excess borrowing in the private sector. So I’m not sure what they will say when the bubble does finally bust. If precedent is any guide they’ll blame it all on excess borrowing in the public sector and tell us all that’s what happens when governments don’t balance their budgets. Having said all this Australian politicians do understand the need for fiscal stimuli from time to time. PM Kevin Rudd must have been sufficiently concerned of the danger when his government authorised that early all taxpayers would receive $900 cheques. No questions asked. No need to apply! The neolibs wouldn’t have approved of that! Yes there are features to make you uncomfortable about the economy in Australia and the property bubble, if that is what it is, is one of them. What impresses me about the Australian economy though is its flexibility. But it keeps coming back to keeping those middle incomes healthy and I’m reserving judgement on that. here in Western Australia it certainly looks like the mining economy and labour shortages are behind it. Previous Previous post: The Master and his Emissary: is modern society too left-brained? 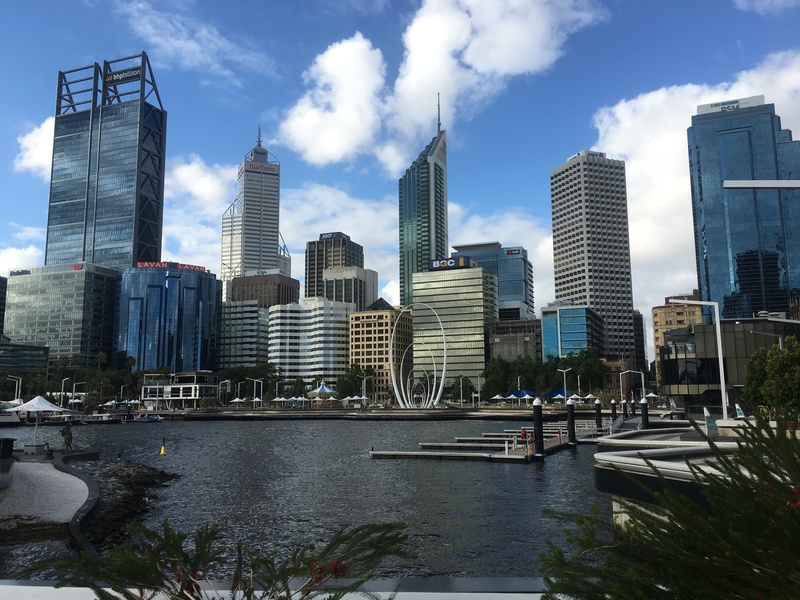 Next Next post: Western Australia: a place to live rather than visit?